Actress Lorraine Chase, who checked-in as easyJet's first ever passenger in 1995 at Luton Airport, was on hand to toast the airline's 65th million passenger. The occasion also marked the introduction of a new route to Corfu, the carrier's 34th destination from the airport. All involved celebrated in style with easyJet's award-winning Louis Mondeville Côtes de Gasgogne – recently voted the best airline white wine and featured in AERBT. Continental Airlines, and for that matter Northern Ireland, are celebrating a Government back-down with regard the APD (Air Passenger Duty). Whether it is the precursor of a Downing Street re-think regarding tax on passenger departures remains to be seen. We will know around 29 November. Continental (soon to become United Airlines) is the only carrier offering a service between Belfast and the United States (Newark – New York). Faced with competition out of Dublin, where the tax is just £3, as against £60 for Economy Class and £120 for all premium operations, the Chicago-based carrier threatened to pull out. It has this year closed its marginal Bristol – Newark service. George Osborne, the Chancellor, said the announcement was a “proactive measure” to protect the service and the jobs of those who serve the Belfast route. “Northern Ireland faces a unique challenge in attracting traffic – including very valuable business customers – into its airports,” he said. SkyTeam has welcomed China Airlines as its 15th member at a joining ceremony held in Taipei. The flag carrier of Taiwan and one of the world's leading cargo carriers, China Airlines becomes the first Taiwanese airline to join SkyTeam and cements the alliance's position in the Greater China region. From its hub in Taipei, one of Asia's strongest economies, China Airlines operates a diverse passenger and cargo network throughout the wider Asia-Pacific region, North America and Europe, with a total of 224 daily departures to 80 destinations worldwide. The new member also brings three new destinations to the SkyTeam network: Okinawa and Miyazaki (Japan); and Surabaya (Indonesia). Extensive choice of destinations in the Greater China region China Airlines complements the network of existing members, China Southern and China Eastern, and offers an extensive cross-strait operation to 20 major destinations in China. Flydubai, the Dubai-based government-owned budget airline, has doubled its network in Russia to four points with the addition of flights to Kazan and Ufa, not the most accessible of cities. Kazan is the capital of the Republic of Tatarstan and the second largest city of the Volga economic region. 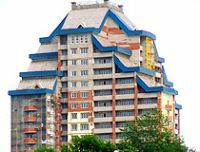 Ufa, likewise is the major city of the Republic of Bashkortostan. Both are part of Federal Russia. The Kazan Kremlin, which has been declared a UNESCO World Heritage site, is just one of the attractions the city has to offer. Kazan will also host the XXVII World Student Games in 2013 and several matches during the 2018 FIFA World Cup, with the new flydubai routes ensuring that the UAE’s football fans will have a direct flight option to attend matches. Ufa, with an economy based on fuel, energy and engineering complexes, is also the largest oil refining centre in the Volga and the Urals, as well as a scientific and transport hub for Russia. 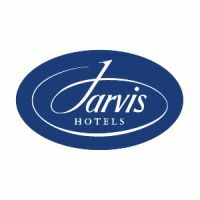 Accor, the French hotel operator whose brands include Sofitel and Ibis, is to expand significantly its operation in the UK following the signing of a franchise agreement with Jupiter Hotels Ltd, the new owners of the former Jarvis hotels. In what is the largest franchise deal for Accor this year, 24 hotels – or 2,664 rooms – the Mercure hotel brand across the UK will expand to 68 properties. The new hotels are located in a range of locations across the UK, including popular tourist destinations like Brighton, York, Edinburgh and Inverness, and key towns such as Leeds, Bradford, Manchester, Bristol, Gloucester and Leicester. The partnership with Mercure will allow the hotels to retain their individuality and style whilst joining an established network of over 700 midscale hotels operating in more than 50 countries across the world. Three of London’s most famous and iconic luxury hotels, The Berkeley, Claridges and The Connaught, have been acquired by the owners of perhaps the daddy of them all, the Ritz. Making the purchase was Britain’s most secretive landowners, brothers Sir David and Sir Frederick Barclay, residents of the Channel Island of Brecqhou, and owners of the Daily Telegraph. 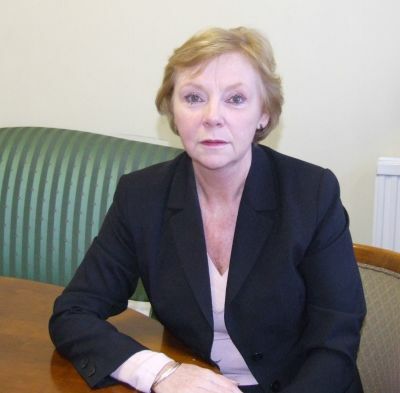 The London properties have been acquired from the National Asset Management Agency (NAMA), the Irish Government agency which was created to manage the bad property debts of certain insolvent banks in Ireland. British Airways has celebrated the second anniversary of its unique Business Class-only operation between London City and New York’s JFK airports. Launched in the middle of a deep recession, the service has defied sceptics to win over business travellers flying between two of the world’s largest financial centres. The airline’s confidence coincides with the announcement of a seven-year deal with Iberia to maintain the CFM engines on the Airbus A318 aircraft used for the services. London City is British Airways only A318 operation. Also new is the offer for every passenger of a 64GB iPad, enabling them to watch bespoke in-flight entertainment programme. Pursers on board are getting iPads too. (see AERBT 26 September). UK Transport Secretary Philip Hammond has announced that the 70mph (113kph) limit will be increased to 80mph (128mph) by 2013, subject to a consultation period of several months. France has a motorway speed limit of 130kph (110 in rain), Netherlands 130, Spain 120 and Germany none at all. Mr Hammond says that raising the mostly ignored limit will increase transport efficiency. Those opposed to any increase say that “speed kills”. 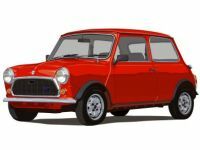 The Minister points out that when the present limits were set in 1965 the average family car could hardly reach 70mph, had inefficient brakes, equally poor handling and for the most part cross ply tyres, notorious in the wet. All round today’s cars are very much safer. The number of people killed on British roads has fallen by more than 75% since that time. British Airways was the 'Airline of the Year' at the Business Traveller Awards 2011 held at Kensington’s Royal Garden Hotel and presented by radio presenter John Humphrys last week. Sponsored by Heathrow Express and supported by Panasonic Avionics and Aeromobile, the awards have been a fixture in the business travel and hospitality calendar for more than 25 years. BA also won Best Short Haul Carrier and Best Frequent Flyer Programme. Singapore Airlines continued to show strongly, taking Best Business Class, Best Economy Class, Best Long Haul Airline, Best Asian Airline and Best Cabin Staff. Emirates won Best First Class, with Virgin Atlantic winning Best Premium Economy and also taking the award for Best Airport Lounge for its Clubhouse at Heathrow Terminal 3. ECAir (Equatorial Congo Airlines), the new national flag carrier of the Republic of the Congo, entered into service and took-off on 24 September 2011 with its premiere flight between the country’s capital Brazzaville and the port city of Pointe-Noire. Lufthansa Consulting managed the complete start-up process preparation and thus continues its successful co-operation with the Congolese Government. In previous projects the consultancy service supervised the development of the country’s three main airports and 'Airport City' at Brazzaville named Maya Maya Village. The Mercer Street, arguably one of the best-located hotels in London, has opened in Covent Garden after a £15m refurbishment. 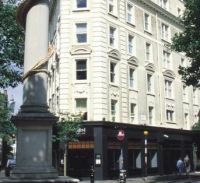 Formerly called The Mountbatten, The Mercer Street is located at the heart of avant-garde Seven Dials area near Leicester Square and some of the best shopping, restaurants and theatres that the capital has to offer. Part of the Radisson Edwardian hotels group The Mercer Street offers 137 guest rooms, all with bathrooms and the most up-to-date Apple TV technology, free wi-fi and other benefits including free printing for guests, enabling those travellers working in London to do business easily. There is also a fitness room. Valet parking is available. 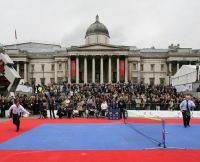 Mayor of London, Boris Johnson, has unveiled a new website which, although designed for the capital’s small and medium enterprises to avoid transport disruption during next year's Olympic Games does actually work for everyone. The function of the ‘one stop shop’ is to help businesses plan ahead and manage transport impact during summer of 2012. Information showing how the busiest stations and locations across the Tube and road networks will be affected during the Games is shown with the promise of further comprehensive information to come. 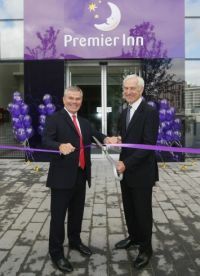 Part of the massive Stratford Westfield shopping complex (which adjoins both Stratford Regional station and the Olympic Park), Premier Inn has opened its latest London 267-room London property. 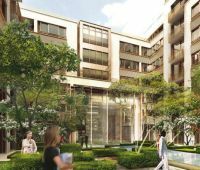 As with all Premier Inns it features en-suite bathrooms, TV with Freeview, and wi-fi internet access and, whilst the Whitbread-owned company is keen to promote its own bar and restaurant, clients will find an amazing selection in Westfield itself. Premier Inn, which claims to be the UK’s largest hotel brand, has announced a major expansion drive in London with over 50% rooms' growth in the next two years with an intention to double its size in the capital by 2016. Over the next 24 months it will be opening 20 new hotels in London with locations including Leicester Square, Blackfriars, Old Street, Holborn and Islington. 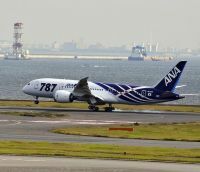 Boeing has delivered the first 787 Dreamliner to launch customer ANA during a ceremony adjacent to the factory where the plane was assembled. More than 500 employees representing the 787 programme walked alongside the all-new jetliner to present it to ANA executives as a crowd of thousands looked on. During the ceremony, Boeing Commercial Airplanes President and CEO, Jim Albaugh, presented a ceremonial key to Shinichiro Ito, President and CEO of ANA. Plymouth Airport saw the end of Air Southwest last Friday (30 September), born out of wedlock perhaps, from the remains of Brymon Airways and now joining the once thriving carrier at the great hangar in the sky. Plymouth, the largest city in the South West, now has no scheduled air services and seems to have taken yet another move towards oblivion. Its soccer team props up all four English Leagues, and the harbour, perhaps the greatest in the land, is for some reason scorned by cruise ships whilst less attractive ports prosper. The use of iPads instead of traditional paper training manuals will ensure that staff will always be able to access the latest information wherever they are and cut down on printing and distribution costs for the airline. 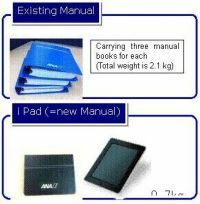 The three training manuals currently provided weigh over 2kgs, compared to the lighter and slimmer 0.7kg iPad. The traditional training manuals had to be updated and reprinted several times a year but this will now be done automatically electronically, increasing business efficiency. Flybe, which likes to call itself 'Finland’s newest airline' is stepping in to continue flying the key service between Jyvaskyla and Helsinki from 30 October with up to three return Q400 flights a day. The decision follows Finnair’s withdrawal from the route. This is the first move by the Exeter (UK) based regional carrier since, together with Finnair, it acquired Finnish Commuter Airlines (Finncomm) in August. Jyvaskyla is the capital of Central Finland and the largest city on the Finnish Lakeland, 91m north-east of Tampere and 170m north of Helsinki. The city, population 130,000, has been continuously one of the most rapidly growing cities in Finland since World War II. The city is surrounded by lakes, hills and forests. 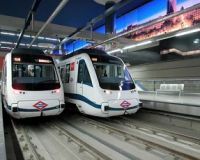 Journey time from the centre of Madrid to Barajas International Airport has now been dramatically reduced with the opening of a new metro link to Terminal 4, the home of Iberia and its oneworld colleagues. Trains leave every five minutes from 06:00 to 02:00 the following day. Line 8 goes right to the new Nuevos Ministerios Metro at the heart of Madrid, a journey of only about 12 minutes. The single fare is just €2.15, while holders of tickets for RENFE high-speed services travel for free. Located on rue Saint-Honoré, one of the most fashionable streets in the world, surrounded by haute couture and only a few steps away from the city’s famous attractions, the Paris Mandarin Oriental has opened setting a new high standard for a city of renowned 5-star hotels. 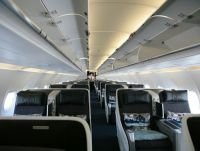 Boeing has delivered the initial Next-Generation 737-900ER with the new Sky Interior to Tajikistan-based Somon Air, making it the first Central Asian carrier to operate a plane featuring the innovative cabin. Somon Air, the first private airline company in Tajikistan, started operating in February 2008, and is based at the capital, Dushanbe, international airport. Tajikistan is a west leaning former Soviet one-party state. Its borders include Afghanistan and China. It already operates two leased Boeing 737-800s, the Dash 900 a direct purchase. Some 15 destinations are offered including Dubai, Frankfurt and Moscow. In an initiative Boeing partnered Somon Air and the US Department of State's Humanitarian Programme and Project HOPE to transport medical supplies to Dushanbe with the delivery flight. The relief shipment of 2,852 pounds of medical supplies will improve the quality of medical care for the less-privileged in Tajikistan and help alleviate the shortage of medicines needed for oncology, psychiatric health and in the treatment of infectious diseases.